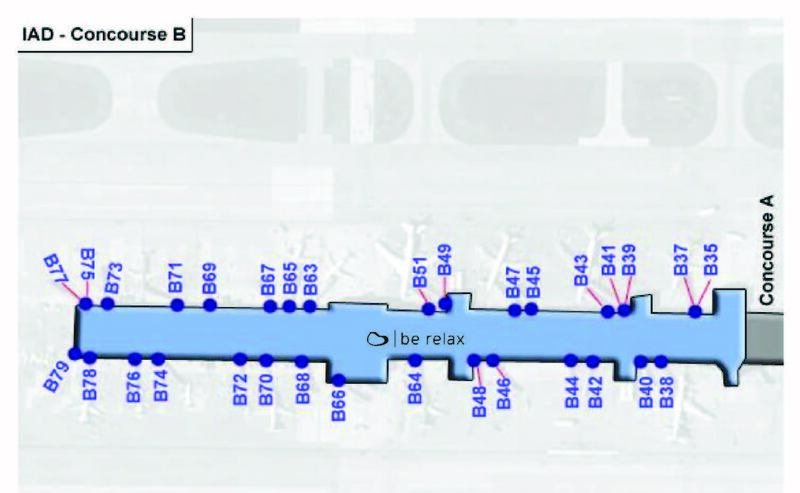 At Be Relax in Washington Dulles International Airport terminal B, customers will find the tranquility they desire. If you are wanting to escape the hustle and bustle of the airport for a while, come on in to our kiosk, sit back and rest your feet for a well-deserved pedicure and chair massage or a quick pick me up facial treatment, re-energize with an oxygen treatment or aroma therapy. Please be our guest at Be Relaxed at Dulles International airport where we take pleasure in helping you escape life for a while.